Thos USB cat5-6 connectors us for long distance operat to Mouse. DVR/Laptops/Desktop computer. USB (Universal Serial Bus) is an input-output interface which is muchfaster than standard serial ports. 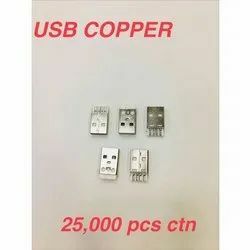 Cypress Industries manufactures a wide variety of USB Connectors and Mini USB type A and type B Connectors compatible with both USB 1.1 and USB 2.0 connector specifications. Most of these USB Connector models are available as USB board mount, SMT and panel mount connectors or USB cable mount connectors. A USB Type A Male connector. This is connector can be directly plugged into the USB port on a computer or laptop. Great for making devices that directly plug into the USB port without the need for cables. Micro B SMT 5P connector, for use in mobile phones as per Universal Charging Solution (UCS) connector requirement. Gold plated contacts. - USB A female to USB A female adapter is used to transfer data from one end to another. - USB provides plug and play capability and also provide hot swapping facility. - USB A female to USB A female adapter will provide safe operation to your audio video systems. - USB A female to USB A female adapter will provide you flexibility in USB connection. 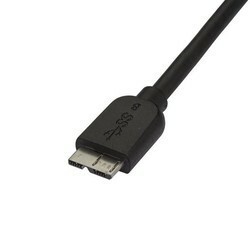 - No other company on the planet has developed a reversible USB cable that offers smartphone owners the flexibility to charge and connect in dual directions. Yes!